In early December 1999 I was working as a financial planner in the west country. It’s a beautiful part of Britain and I had a portfolio of lovely clients – mostly farmers; down to earth, hardworking, open, and honest people I had come to admire and respect greatly. That month, I experienced one of those days in your career which you know you’re never going to forget. I had two appointments that day, both with potential new clients, both of whom had been referred to me by their accountant. I had very little information about either of them – all I knew was that the first was a woman who had very recently been widowed, after her husband had sadly committed suicide, and the second a guy who had recently moved to the area with his young family. I arrived at my first appointment just after nine. A farm. Like many farms I visited during that time the barns and yards which housed the animals were spotless, if a little dilapidated, while the old farmhouse had clearly been the victim of years of benign neglect. The woman who met me at the front door looked dreadful. Stressed and exhausted, but she invited me in with a smile and made what was to be the first of many cups of tea. It turned out that a few weeks earlier her husband, having waited until she had gone shopping, went into one of the barns, put a shotgun in his mouth and used his foot to pull the trigger. She was the one who found him when she returned home. He also left a married daughter and a son who was at agricultural college who had planned to join his father on the farm when he graduated. The farm was a beef farm, with a herd which went back generations, having been started by his great-grandfather. When ‘mad cow disease’ reached its peak some years earlier the business had been badly affected. That area of Britain consists of primarily relatively small family farms. It’s hard enough to make a decent living during the good times (I regularly saw farming clients who were receiving means tested state benefits due to the low level of income they made from the farm), so when a crisis hits the effect is enormous. Like many other beef farms at the time, the farm had been mortgaged to the hilt and they had struggled to make repayments. To be fair, the bank managers in those days still knew their clients personally so lending decisions weren’t being made by some faceless manager and the banks did do their best to support their clients. For this client though, the stress had become too much. After several years of suffering from depression, he had chosen to end his life. So, there I am, sat at a kitchen table on which rests a battered old suitcase full of documents, with a woman who is struggling to come to terms with what has happened and has no idea what the family’s financial position is. As is often the case, her husband had taken care of all of that. During the rest of that morning, accompanied by numerous cups of tea and Rich Tea biscuits, and with frequent breaks while I comforted this woman whose life was in bits, I slowly figured out what was what. The bank, thankfully, had insisted on life cover on the husband for the main borrowing on the farm, and as it had been in force for some time they had already confirmed that the claim would not be denied because he had committed suicide. So, most importantly, the farm was safe. The suitcase contained several other small life policies, endowment savings plans and pension policies, taken out when their finances were healthier, mostly with National Farmers Union (NFU) Mutual. Typical of what I saw with many of the farmers I met. All told, I worked out that these would provide enough to pay off the bank overdraft, cover the costs of the funeral and outstanding feed bills and leave a bit of a savings cushion which would buy her some time – at least a year. Her son was due to graduate the following summer, but he’d not been to college since his father died, having taken on the mantel of ‘man of the house’. Most likely, he wouldn’t be going back to college but at least he wouldn’t be under the same pressure his father had been. By the end of the morning we’d worked out exactly where she stood, and what she needed to do. I’ll never forget the look of relief on her face, or the tears she cried when she realised that things were nowhere near as bleak as she had feared. She was so grateful for the time I spent with her. 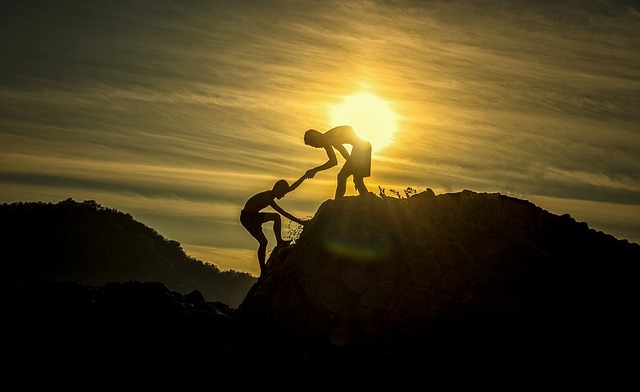 Building long term relationships with clients and helping them grow their wealth and achieve their goals is wonderful, but sometimes there’s huge job satisfaction in just being able to help someone out who desperately needs it. I left knowing that, underneath the grief she was dealing with, she was a strong woman. She was going to be OK.
After a brief, reflective, lunch I headed off for my next appointment. What a contrast. I drove up to a stunning barn conversion surrounded by manicured lawns and a swimming pool in the garden. A post and rail-fenced paddock behind the house housed a couple of expensive looking horses. Literally a different world to the one I had been in that morning. The man I had come to see met me in the driveway, his chest puffed out with pride when I remarked on his beautiful home. I was led into a stunning living room, it was like walking into the pages of a design magazine. A cafetiere of coffee awaited us, served by his wife who then left us. This man’s story – he’d started ‘dabbling’ in the stockmarket a year or so ago and done so well he’d given up his highly paid job and the family had moved to the area to enjoy a better quality of life while he became a full-time day trader. The beautiful house was, like the farm, also mortgaged to the hilt, but this time not out of necessity, but out of greed. The money raised had been used to invest in the dotcom stocks which were all the rage at that time. His entire portfolio consisted of these stocks, many of which I’d never even heard of, and his view was that he was so good at trading these companies he could both provide for his family and would almost certainly have the mortgage repaid within ‘a couple of years’. I could hardly get a word in edgeways as he continued to list his many trading successes. At one point I managed to ask him whether he didn’t think it might be sensible to diversify a little and take some of the gains and reduce his debt. Wrong question. He proceeded to berate me about my outdated thinking. It was all about the ‘new economy’. The ‘old economy’, apparently, was finished. The future was technology. On and on he went. To be honest, at one point I did feel like screaming at him, “Really? What, you think they’ll be making houses out of floppy disks in the future?” but managed to restrain myself. I really couldn’t have cared less about his opinions on the new economy versus the old. What I did know was that he was executing an incredibly high-risk strategy and if it went wrong – which it was bound to do at some point as markets don’t go up forever, and at this point it was becoming increasingly obvious that we were seeing a bubble in tech stocks – this wasn’t just going to be a case of wounded pride. The family’s security was at risk. He had two daughters under five years of age and his wife was a full-time mum. He was their financial security. But there are none so blind as those who cannot see. It was clear he was not going to listen to any alternative point of view. I don’t honestly know why he had agreed to meet with me in the first place – except perhaps to show off his ‘brilliance’. It was clear I was wasting my time and I ended the meeting as soon as I could. Just a few months later, the NASDAQ crashed and the dotcom boom ended abruptly. From peak to trough the index fell by 78%. Those tiny start-ups became at best hugely illiquid and at worst worthless in millions of portfolios. I often wonder what became of that family. I hope he had the sense to get out before disaster struck. Dan Solin linked to a blog post by Gustavo Ruzzetti in his weekly email recently. It’s a good read and, overall, I agree with it. I don’t think a financial planner’s job is to tell people what they should, or shouldn’t, do and I don’t believe most of the people I meet either want or need me to tell them what to do. But I do think that when I can see that the path someone is planning to follow has pitfalls of which they are perhaps unaware, I have a duty to point that out, so that they can make an informed decision with all the facts they need to do so. I see my role as facilitating the non-judgmental process that allows that to happen. But clients need to be open to that. I can’t build long-term relationships with people who aren’t open to the possibility that there might be a different path to follow. Thankfully I don’t meet people like that guy any more. They used to turn up now and again but I think we’ve got better over the years at getting our message across. Don’t come to us if you want an ‘order taker’ who will tug their forelock and be grateful for any business you pass to them. But we’ll welcome you with open arms if you’re seeking a collaborative long-term relationship of equals and have an open mind. We can only help those who are open to being helped.